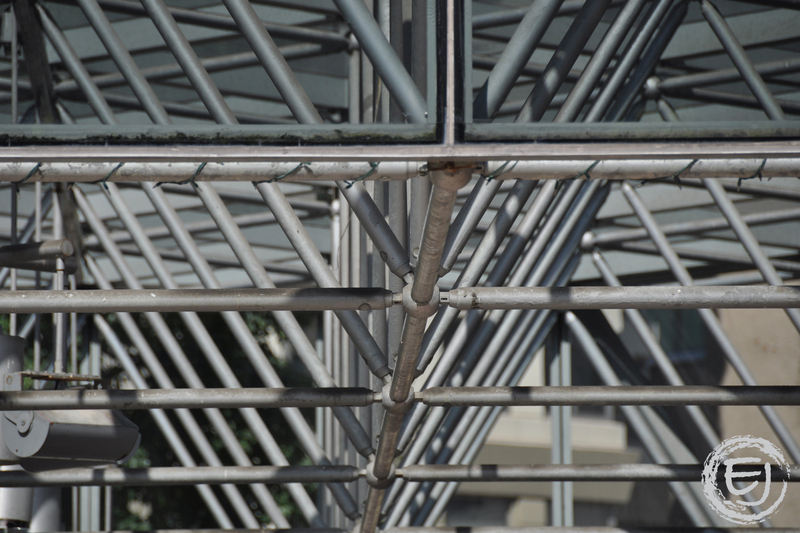 This is the metal truss framework that supports the glass roof canopy spanning over the outdoor eating area in the River Plaza between the Trump Tower and the Wrigley building. It also happens to be outside of a McDonalds. This entry was posted in Architecture, Chicago. Bookmark the permalink.